With Kim Mulkey’s Baylor Bears advancing to the national championship game, said game sets up a contest of two teams both coached by women. How apropos especially given the KNOWLEDGE dropped courtesy of Muffet McGraw earlier this week. 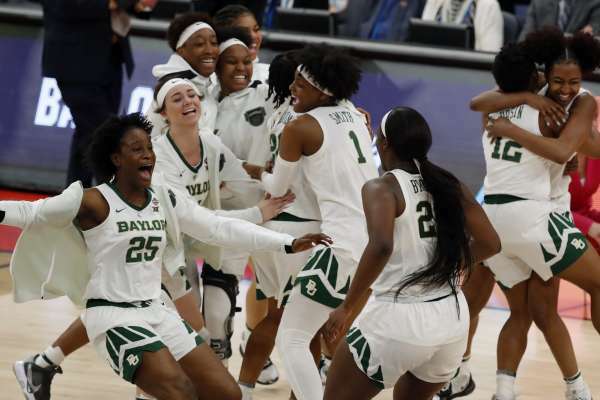 McGraw’s Notre Dame Fighting Irish defeated UConn and Mulkey’s Bears pulled off a 72-67 victory over the Oregon Ducks to claim a berth in Saturday’s national championship game in Tampa. A late layup from Chloe Jackson lifts Baylor over Oregon 72-67 in the Final Four! The two teams were all knotted up at 67 with under two minutes to go in the contest after Sabrina Ionescu assisted on a Satou Sabally three-pointer. A made layup from Chloe Jackson as well as free throws from Lauren Cox and Kalani Brown decided this one, punching the Bears’ ticket to Sunday’s final. 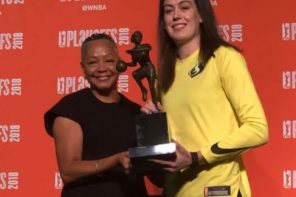 Ironically, the last two teams both coached by women met in the national championship game was in 2012 when Baylor triumphed that season. Brown led all scorers with 22 points. Cox’s double-double helped the Baylor cause as well with 21 points and 11 rebounds along with seven assists. DiDi Richards scored 15 points. 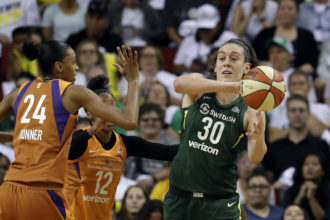 Sabrina Ionescu scored 18 points and dished out six assists. Sabally scored 16 points and Erin Boley added 14 points. Ruthy Hebard hauled in nine rebounds. Ionescu, though, was held scoreless in the fourth quarter thanks to the defensive efforts of the Bears in the closing stanza. She was also held scoreless in the first quarter as well.